Hazrat Maulana Syed Mohammad Ashraf, president and founder of All India Ulama &Mashaikh Board attended Istanbul Conference on “Islamic movements and its ill effects on Asia Pacific”. 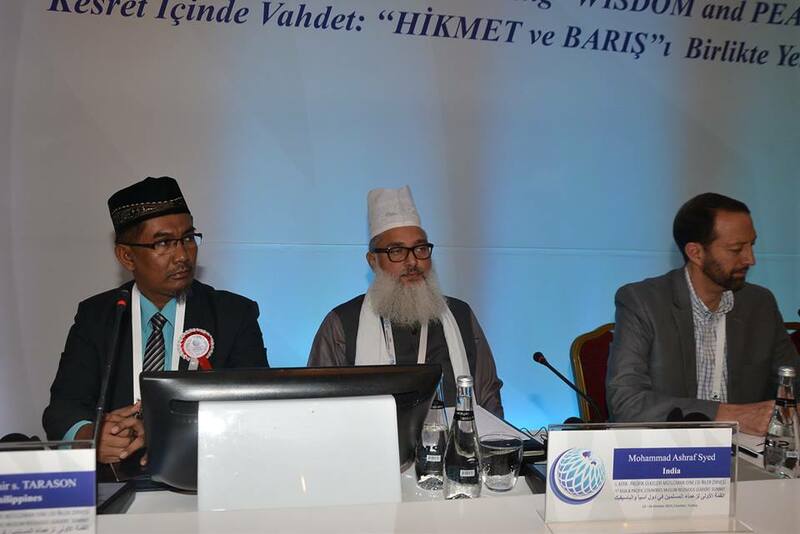 The dates o f the three days conference were 13th to 16thOctober 2015. He left New Delhi on 12th October. 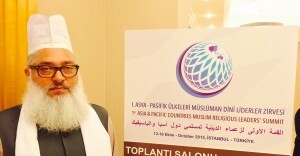 This was an international gathering in which Hazrat represented Indian Muslims. He started his extempore speech on the current state of affairs asking to see through the game played by Islamists who are also clerics. The tone of the speech was conciliatory and inclusive. Representing India in any international forum needs some tact and knowledge, which was displayed wisely and brilliantly by the president AIUMB. He said Indian Muslims are 15 % in country’s population. Though there are aberrations, yet India guarantees freedom of faith under the constitution and Indian Muslims enjoy that freedom on a great level. Islam came to India through ocean and landed in Kerala but in heartland India it was propagated by Khwaja Moinuddin Chishti R.A. who made Ajmer in Rajasthan, his base for connecting with people and dispensing knowledge and preaching peace, harmony, unity, co existence and love. Khawaja Moinuddin Chishti alone attracted 900 lacks of people toward Islam through his preaching and practices. In this context, Hazrat Maulana Mohammad Ashraf dwelled much on redefining the social strata among the Muslims and was brilliant enough to place his theory of settlers, prospectus and pioneer. In his redefinition of social strata, settlers are those who live to remain confined with the everyday needs of life. They are in huge majority, to say 80%. House, food, cloths engage their attention and eat up all their energy and time while these workers, peasants small business men, middle class , upper middle class and professionals grow in generations to graduate to the next class which is to be named Prospectus. Prospectus (about 20%) consists of elite class Capitalists, Academicians, business men, industrialists and so on. This class harps on achieving more and more and in these process losses his connect with the Pioneer. While, historically Pioneer was the main guide some centuries ago. Kings and rulers used to obey and pay respects to the pioneer .Pioneer (some 5 % to 10% in the population) used to guide the prospectus to secure welfare for the public mostly consisting settlers. In this way there was a systemic line up between the pioneer, prospectus and settlers. This system has wrecked. People are thriving on freedom from the pioneer and that is why there are independent leaders and movements doing much harm to the world including Asia pacific region which is the topic of the day. ASIA Pacific is suffering like any other part of the globe. Somewhere there is Wahhabism, somewhere there is Salafism. The message of Islam has been peace but the followers of Islam have taken route of violence because the pioneer link is missing from the system in these three centuries. Till 17Tth century Islam was serving the humanity in each field of knowledge. Muslims invented Algebra. They worked a lot on Astronomy. They were inventors and academicians but after 17th Century period things went bad. All the academic and other investments were done in another sphere and the movements were shape to be finally recognized as ideology of death and destruction. Even the kings in Ottoman Empire used to derive strength from the pioneer. The system was productive. Pioneer was effective in making prospectus to take care of the settlers. 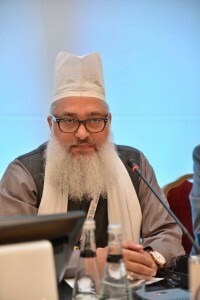 Hazrat Maulana Mohammad Ashraf concluded is speech by saying; I am of the strong opinion that the real value system in Islamic societies must be restored to make a productive connection between the three. After the conference he met President Tayyip Erdogan, Deputy Prime Minister Abdullah Latif Sener and also the Minster of Religious Affairs Dinayet Iseri Baskanligi.It was his second visit of Turkey as representative of Indian Muslims and also as a respected and admired panellist. 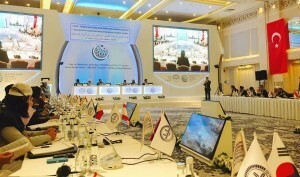 First was also related to an international conference on Peace in Afghanistan. 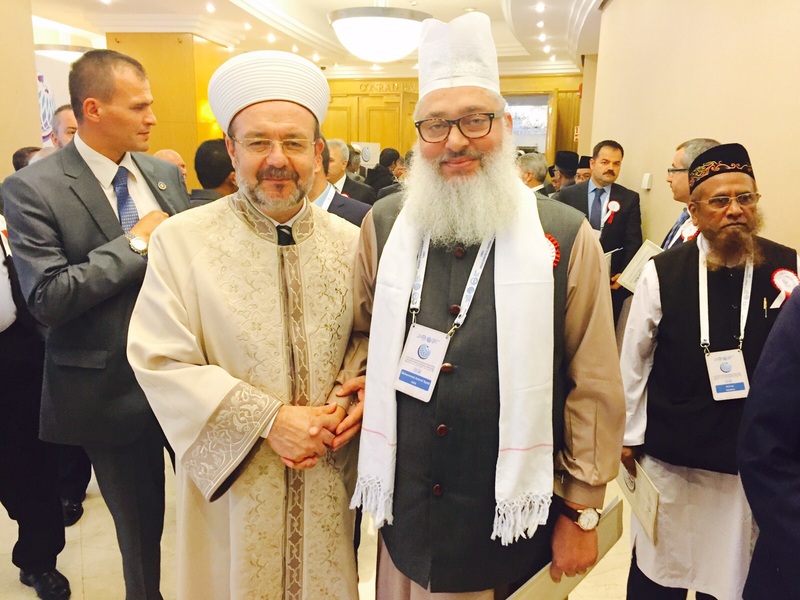 During his stay in Turkey, President of the Board also met with Ulama & Mashaikh of Istanbul and Konya. Members of Syrian delegation in the conference also had a meeting with President of AIUMB apart from Sufis of Balkans. It was also an occasion to see clerics of Naqshbandi, Shazli and Rafai orders. 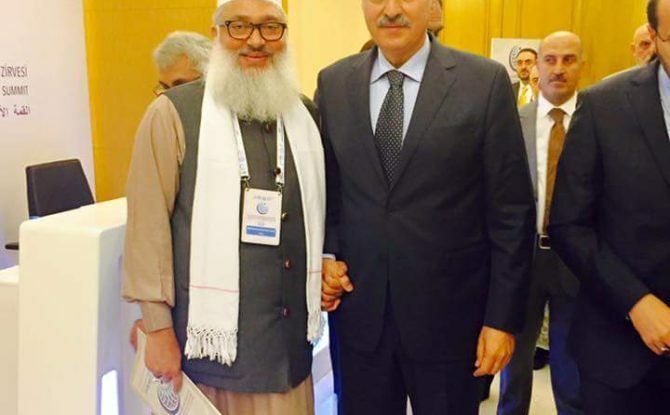 President of the Board recorded his attendance in two Khanqahs of Indian Sufis in Turkey .Both of these two Sufis have their roots in Allahabad in UP. Both are from Chishty order. The people in Turkey remember one of them as Khamosh Peer and the other as Hazrat Ta’ous Hindi. Khamosh peer used to recite and explain Masnavi of Maulana Rome. After visiting the Khanqah of these two Sufis of Indian origin, the President AIUMB met Municipal authorities to request them to take care of these Dargahs of Indian Sufis and make more arrangements for providing basic amenities there. Authorities were kind to assure they would take extra care of these two Khanqahs. During each outing the President AIUMB created contacts with authorities to have more and more knowledge about the technicalities of manning and managing religious places. Some 125 delegates who gathered to attend this conference had come to represent 37 countries including Afghanistan, Malaysia, Indonesia, China, Cambodia, Australia, New Zealand, Pakistan, Borneo, Maldives, Brunei, Nepal, Bangladesh, Sri Lanka, Singapore, Japan, Vietnam and South Korea.